In both technological capabilities and local implementation, Taiwan is taking the lead in “smart city” development. On October 19, the think tank Intelligent Community Forum (ICF) announced that five communities in Taiwan were among the 21 recipients of the ICF Smart21 2017 awards. The prize recognizes communities that apply “information and communications technology (ICT) to create inclusive prosperity, tackle social and governance challenges and enrich their quality of life,” according to the ICF website. 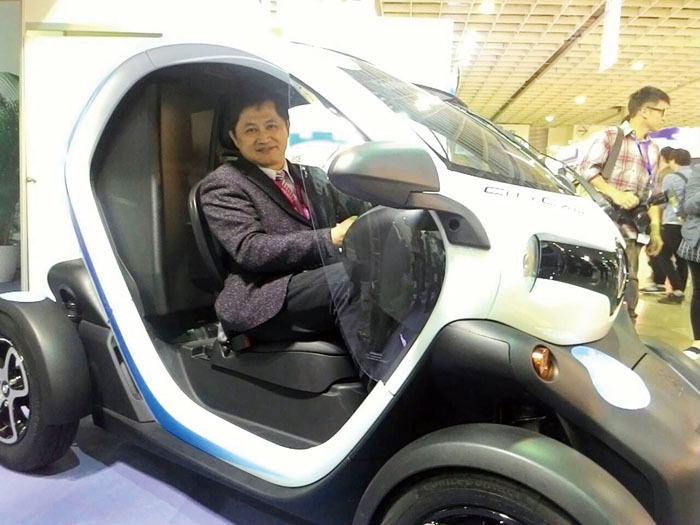 Chairman Tung Tzu-hsien of the Taipei Computer Association poses in a smart green car at the 2016 Smart City Expo. 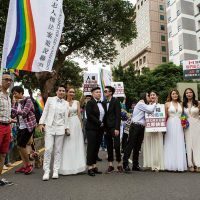 The 2017 list includes the northern Taiwan cities of Keelung and Taoyuan, the southern cities of Chiayi and Tainan, and Yilan County in the northeast. These winners, together with cities from Canada, Australia, and Russia, among others, were selected from among 400 entrants and evaluated based on a rigorous review of data in key areas, including broadband infrastructure, knowledge economy, innovation, digital equality, sustainability, and advocacy for positive change. ICF is dedicated to promoting the concept of “Smart Cities,” a term coined by IBM in 2008 to describe the use of digital and ICT technologies to enhance the quality and performance of urban services. Smart city programs apply and integrate the latest in technological advances, including cloud computing, advanced sensors, the Internet of Things (IoT), energy management, advanced urban transport, and many others to create cities that are more livable and sustainable. For Taiwan, the concept creates opportunities not only for governments in tackling urban challenges, but also for the advanced technology sector in developing new business. Taiwan already has one of the world’s leading technology manufacturing sectors, mostly in OEM/ODM manufacturing but also in name-brand electronics. Hon Hai is the world’s largest maker of computers, iPhones, and a host of other electronics, while tech brands Acer, ASUS, Gigabyte, and HTC are globally recognized. Taiwanese engineers are now doing cutting-edge design work through the UK’s ARM microprocessor design center based in Hsinchu, and Taiwan Semiconductor Manufacturing Corp. (TSMC) continues to be Apple’s mobile chipset development partner on its A10 mobile chipset series and the world’s largest semiconductor foundry. While Taiwan’s ICT sector is still a major player in global supply chains, it nevertheless has stagnated in recent years due to its dependence on low-margin OEM manufacturing. 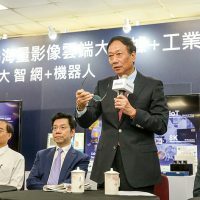 To revitalize Taiwan’s crucial export sector, President Tsai Ing-wen has vowed to steer the development of Taiwan’s IT sector towards innovation, with the aim of transforming Taiwan into the Silicon Valley of Asia. The demand for smart city tools and technologies is expected to expand dramatically in the coming decades. While around 50% of the world’s population currently lives in cities, by 2050 this proportion is forecast to increase to 70%. It will be crucial for mega-cities to adopt innovative strategies and services to manage resources and govern effectively, and these trends will be especially acute in Asia, where urban expansion will be the highest, according to United Nations studies. Taiwan’s strengths in IT and digital technologies, as well as in managing its densely urbanized landscape, give it a sound basis for success in promoting smart cities. And as Taiwan seeks new markets for its tech exports, the smart city sector offers huge potential. According to market consultancy Frost & Sullivan, smart city markets are expected to reach “US$1.57 trillion by 2020, considering 1,000-plus cities worldwide engaged in smart-city programs.” The smart-city technology market in Asia alone will reach US$1 trillion annually by 2025, according to IDC Government Insights, a unit of research firm IDC. This isn’t the first year that Taiwanese cities have ranked highly on the ICF Smart21 list. 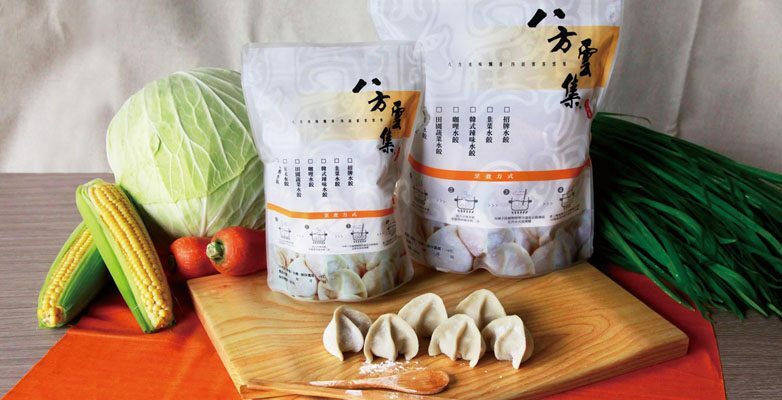 In 2006, Taipei City came in first on the list, and in 2013 Taichung City made its way to the top position. The Smart21 2015 list included Taitung, Taoyuan, and Changhua counties, while New Taipei City reached the ICF’s Top 7 List. The 2016 ICF Smart21 list included Kaohsiung, New Taipei City, Hsinchu County, Taitung County, and Taoyuan County, while New Taipei City and Hsinchu County made the Top 7. Taiwanese cities have developed numerous applications and programs that have contributed to their success in the smart city sphere. According to Intel’s IoT technology reports, for example, Taiwan’s YouBike shared public-bike system is able to track, locate, and manage thousands of bicycles in real time. 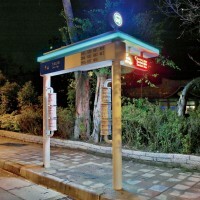 Intel IoT technology also supports Chunghwa Telecom monitors affixed to street lamps to help regulate the energy usage of each light, as well as track rainfall, temperature, and air pollution. This data is then utilized in public planning strategies. Local tech firm Advantech’s IoT product line is anchored in Taiwan’s “eTag” advanced highway tolling system, established and administered by the Far Eastern Electronic Toll Co. The eTag system positions industrial computers, sensors, and servers in gantries that automatically collect toll fares while enabling highway traffic to flow unabated, saving millions of liters of fuel every year. Taiwan’s Executive Yuan has also launched 4G Smart City Project initiatives which it is funding through reinvesting proceeds from its 4G spectrum-licensing auction. 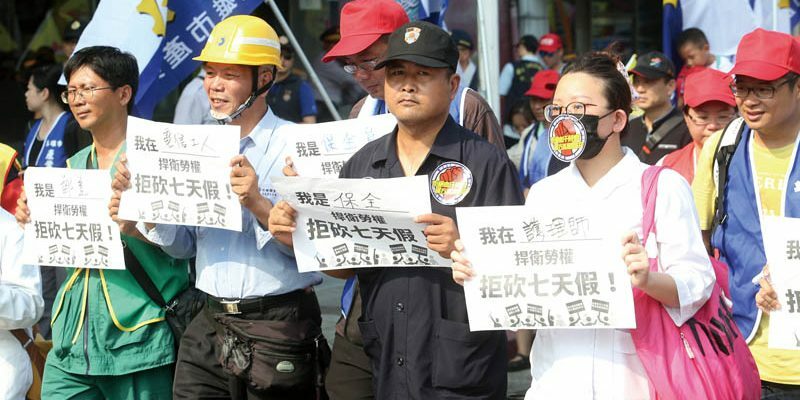 As part of that program, the Ministry of Economic Affairs (MOEA) is providing some US$167.12 million in subsidies to Taiwan’s telecom providers to be phased in over the span of three years. During the past year these subsidies have supported 19 approved smart city projects related to expanded 4G services. These projects focus on three key areas: Smart Public Services, Smart Mobility, and Smart Economy. Chunghwa Telecom, for instance, cooperated with 15 local governments, including Taipei City and New Taipei City, to set up smart transport services, in-car telematics, online entertainment services, dynamic traffic control services, smart life services, and smart tour services. One noteworthy project included in this partnership is Changhwa’s “Smart City for All” project, which aims to build a more accessible city by implementing creative solutions for the visually impaired, physically challenged, and elderly. The project resulted in an app called “i4Blind,” which offers 4G location tracking beacons and specially designed interfaces providing direction guidance, vicinity information, danger alerts, local shop information, and a personal steward feature. Volunteers seeking to assist the blind can connect to this app, which is currently being extended to university campuses, metro stations, high speed rail stations, and museums. Further, Taiwan Mobile has used its MOEA subsidies to provide smart services such as tourist attraction guides, live broadcasting of artistic and cultural activities, interactive multimedia learning, and live broadcasting of activities in shopping districts in Kaohsiung City. Meanwhile, Far EasTone is working with the Tainan city government to implement more than 20 smart applications, including smart bus service, smart traffic information, and smart tourism and cultural services. The Industrial Technology Research Institute (ITRI), the public-private research center, has likewise been involved in smart city initiatives. Last March at the Taipei Smart City Summit & Expo, ITRI hosted keynote speakers from Europe to introduce Smart CitySDK to Taiwan’s leading telecom operators. Smart CitySDK, an EU-based program partially funded by the European Parliament’s Seventh Framework Programme, is a “Service Data Kit” or programming package that enables different cities to adopt the same set of routines, protocols, and tools. Application Programming Interfaces (API) are then harmonized and standardized in such a way as to allow interoperability in application use. Standardized APIs enable the international app developer community to develop digital products in public services that can be integrated more easily. Accessing the global app development community is essential for the success of smart city programs. API harmonization offers greater access to local data in Taiwan for both local and international app creation and development, enhancing mobile app services for Taiwan’s citizens and creating more opportunities for local app developers to tap into overseas markets. API harmonization and interoperability acts as a bridge for the developer community to connect with international cities that have adopted CitySDK strategies. Current examples of mobile app services relate to tourism, mobility-transportation, and the promotion of events to boost civic engagement. 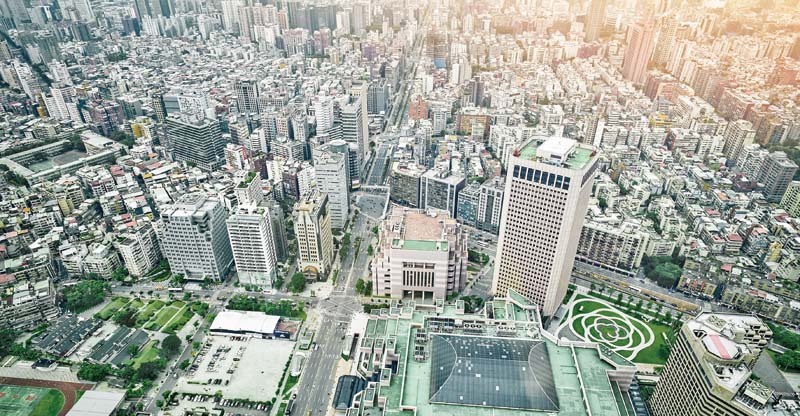 Although Taiwan is well-situated to take advantage of the burgeoning smart city sector, challenges remain, particularly intense global competition in ICT products and services as well as in managing urban resources amid increasing cost pressures. In meeting these challenges, Taiwan’s smart city programs and supporting ICT industries will continue to be a big part of the solution. 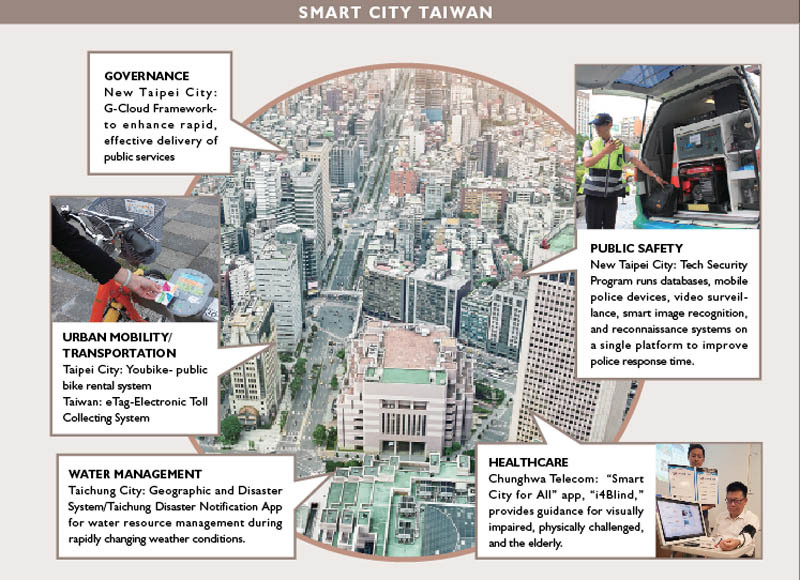 With a clear political mandate and strategic public funding in place, Taiwan’s smart city programs will continue to grow stronger in technological and service innovation. These solutions will be a boon for Taiwan’s global competitiveness in smart city technologies and services, and a blueprint for economic opportunities yet to come. This entry was posted in Behind the News and tagged development, technology. Bookmark the permalink.